A sermon for the feast of SS Peter and Paul, my parish’s patron feast. Our first lesson today was written during the Babylonian Exile. We don’t know much about the actual life of the prophet Ezekiel, but scripture tells us a lot about his contemporary, the prophet Daniel. Daniel didn’t want to get political. All he was trying to do, while living as an exile from Israel in the heart of the Babylonian Empire, was to live his life in obedience to the commandments of his God. He wasn’t trying to make a statement. He just trying to live his life and say his prayers and do what his God commanded him to do. But when the empire tried to tell him not to do what God had commanded him to do, he resisted, and it got him thrown into a lion’s den. In our Gospel lesson, we hear about St. Peter. Peter didn’t want to get political. All he was trying to do, while living as an exile from Israel in the heart Roman Empire was to follow the instructions Jesus gave him. Feed my lambs. Tend my sheep. He wasn’t trying to make a statement. He just trying to live his life and care for God’s people and do what his God commanded him to do. But when the empire tried to tell him not to do what God had commanded him to do, he resisted, and it got him crucified. In our epistle today, we hear from St. Paul. Now Paul really didn’t want to get political. All he was trying to do, while living as a Jew with Roman citizenship, was to proclaim the Good News. 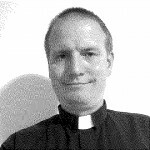 In the letter to Timothy, the writer from the Pauline school says to pray for those in authority, that we may live holy lives in peace. In Paul’s letter to the people in Rome, he urged the community of believers there to obey the civil authorities as far as they could while hating what is evil, holding fast to what is good, and loving one another with mutual affection and extending hospitality to strangers. Yes, Paul, too, found that obedience to the law of faith brought him into conflict with the empire that led inevitably to his martyrdom: his death bearing witness to the Kingdom of God against the kingdoms of this world that would pretend to usurp God’s rightful place as Lord of all. From the first story in Genesis, taught to help the people of Israel captive in Babylon resist the Babylonian Empire, through the crucifixion of Jesus Christ at the hands of Pontius Pilate, to the last book of Revelation, written by John on Patmos to help the nacent Christian community resist the orders from the Roman Empire to cease and desist their way of life and worship, Holy Scripture is nothing if not a guide to the faithful of how to resist empire: how to keep the faith in the face of powers and principalities that demand that we obey them and not the commandments of our Lord. A guide for people who desperately want nothing more than to live our lives and tend our gardens and obey the commandments of our Lord, who don’t want to get drawn into the affairs of empire, but are unwilling to compromise obedience to God to appease an empire that makes competing claims on our allegiance. Saints Peter and Paul, whose martyrdom we celebrate today, had no interest in getting drawn into the affairs of empire. But they were faithful to God’s call, and when it no longer was possible to both obey Caesar and obey God, their faith allowed them no other option but to resist the empire, and affirm their allegiance to the Kingdom of God. They fought the good fight. They finished the race. They kept the faith. And from now on, there is reserved for them the crown of righteousness. On the borders of the United States, the New York Times reports, hundreds of children are being forcibly separated from their parents, and locked in vast warehouse centers like a former Walmart in Brownsville, Texas that currently contains nearly 1,500 boys. Neither parents nor children know where each other are, nor when, how, or if they will be reunited. 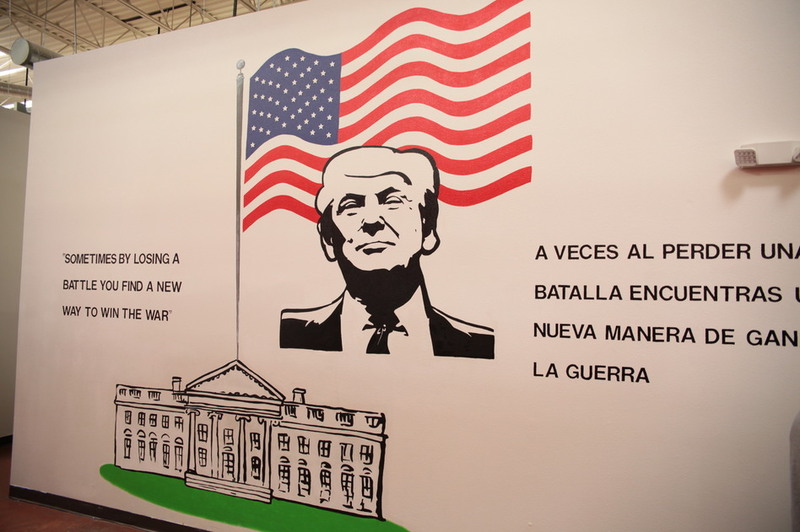 Detaining children and families who cross the border is not new; the previous administration did so in 2014, although courts ordered them to change their practices, but the current practice of systematically separating families is a new evil. The moral leadership of the Episcopal, Catholic, Methodist, and a host of other churches has condemned this practice. The United Nations has condemned this as a violation of the rights of children. The American Psychological Association cautioned we are doing irreparable damage to the mental and physical health of these children. In Deuteronomy 6, the people of Israel are told that the land is theirs as a gift from God and they are to remember that they were once aliens. In Deuteronomy 10 the Lord reminds them that God loves the strangers, providing them food and clothing, and you shall also love the stranger, for you were strangers in the land of Egypt. In Deuteronomy 27, the inverse is true: Cursed be anyone who deprives the alien of justice. Isaiah 16 commands God’s people to be a refuge to the outcasts of Moab. Jeremiah 7 promises that if you do not oppress the alien, then I will dwell with you in this place. Ezekiel 47 commands, along with Leviticus 19, that aliens shall be to us as citizens, and shall also be allotted an inheritance. Zechariah 7 similarly warns not to oppress the alien. Romans 12 describes the mark of a true Christian as one who extends hospitality to strangers. while Hebrews 13 reminds us that in obeying our order to show hospitality to strangers, some have entertained angels without knowing it. And vitally, Matthew 25 makes is abundantly clear: the status of our souls on the day of judgment will depend, in the judgment of the nations, on how we welcome the stranger and care for the vulnerable. God is love. If we claim to love God but are unmoved by the plight of the vulnerable, we lie when we claim to love God. In ordinary times, when our prayers are answered that those in authority leave us in peace to live Godly lives, we obey our mandate to love the stranger through our lives of service. We tend our garden and grow food for the hungry. We care for the sick and those in need. We hold coat drives for refugees and repair homes for those afflicted by poverty and raise money for the victims of disasters. We do our work for the spread of the kingdom of God. This is what we do. But how do we welcome the asylum seeker when our government, acting in our names, no less, tears families apart before those fleeing danger even get a hearing on whether they are legally entitled to refugee status? How do we care for the vulnerable when our government locks them in abandoned warehouses? What can we do in the face of an empire that choses to inflict such evil on the world? We must cry out. We must resist. We must name the evil we face, and do what we can to stop it. I don’t know where this resistance leads. For the prophet Daniel, it led to a lion’s den. For SS Peter and Paul, it led to their execution. We don’t want to get political. We just want to be faithful to the gospel. But when Caesar makes claims that stand in the way of our obedience to our God, God has to win, or our faith is empty. Brothers and sisters, this is not easy stuff. This is not comfortable territory. I don’t know what it looks like to try to stop this. All I know is that God is love, and forcibly separating children from their parents is not of love, and not of God, and we have to do something about it. And we give thanks for the witness of SS Peter and Paul, who bore witness to the love of God in the face of empire. Praise God for those in every generation in whom Christ has been honored. Pray that we may have grace to glorify Christ in our own day. My introduction to the idea that we could get more out of pop culture than simple entertainment or a quick laugh came from the bookshelves that lined the walls of my family’s living room when I was a kid. There, tucked in alongside some of my father’s books on theology and biblical commentaries was The Gospel According to Peanuts. This best-seller was published in 1965 by Robert Short, a Presbyterian minister, and was followed up a few years later with The Parables of Peanuts. What both of these books did, and why my father, an Episcopal priest, had them in his library, was to offer a modern guide to Christian faith as taught through the lessons of Charles Schulz’s beloved cartoons. Schulz … revolutionized his industry by using his strip to subtly raise religious questions about the Bible, prayer, the nature of God, and the end of the world. 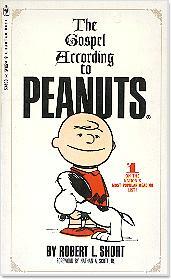 Schulz was a devoted Christian; unshell the Peanuts and you’ll find the fingerprints of his faith. By mixing Snoopy with spirituality, he made his readers laugh while inviting them into a depth of conversation uncommon to the funny pages. Even when — perhaps especially when — he wasn’t quoting scripture, Schulz’s work was often using allusions that would strike a chord both with believers who would likely pick up the reference readily, as well as those who missed the reference but got the point anyway. A famous example, as Merritt’s article explains, was published in 1959 and seen at right (click the image to enlarge), in which Linus builds an elaborate sandcastle only to have it washed away by the rain. While many readers would probably catch the reference to the Gospel of Matthew and Jesus’ parable about the man who built his house on sand, the universality of the sentiment has far broader appeal than to just biblically literate Christians. This mixture of hope and skepticism reflects Schulz’s own evolving faith, which came to assume an increasingly central role in his work. When you map religious references in Peanuts over time, the trend line shoots up and to the right. I’ve long believed that we can look to popular culture, whether comics, or TV shows, or film, to illumine important truths about important topics. That’s the impulse behind my use of movies in the classroom to encourage my university students wrestle with challenging questions related to conflict, identity, ethics, and politics. It’s a lesson I hope my students remember long after they leave my classroom. But it’s a lesson I first learned from Charles Schulz, Robert Short, and my dad.